Brooklyn Forest offers classes in city parks for young children and their caregivers. We want your child’s first class to be filled with wonder. 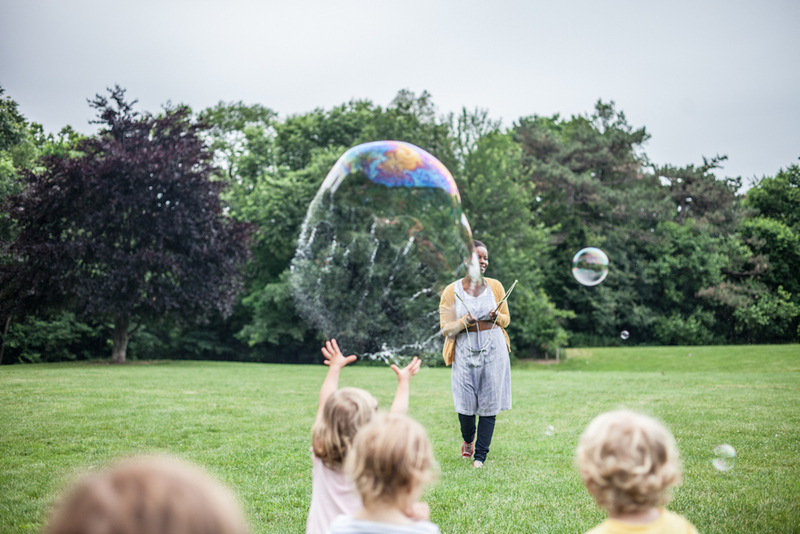 And we believe a wonderful childhood starts with imaginative play and a supportive community; with a meaningful connection to nature and wildlife; with vigorous physical work and nourishing food; with simple rhythms and constant singing; with feeling at home in the forest. The idea of an early childhood class that takes place entirely outdoors is new to the United States. But in many parts of Europe and the United Kingdom, where in the last two decades educators have established hundreds of forest schools, the idea has become about as common as ballet class or soccer practice. Studies following children in these forest schools have found many overall benefits from their outdoor experience -- not only to their physical health, but also to their creativity, concentration and desire to learn. The story of Brooklyn Forest is also already several decades old. It begins in the 1980s -- long before they were married, our founders Joylynn Holder and Charlie Foster met in preschool on Long Island. Over the next twelve years, they attended the same small school, which integrated rigorous classroom academics with the nature found in the fields, hills, wooded trails, and vegetable gardens of its expansive suburban campus. 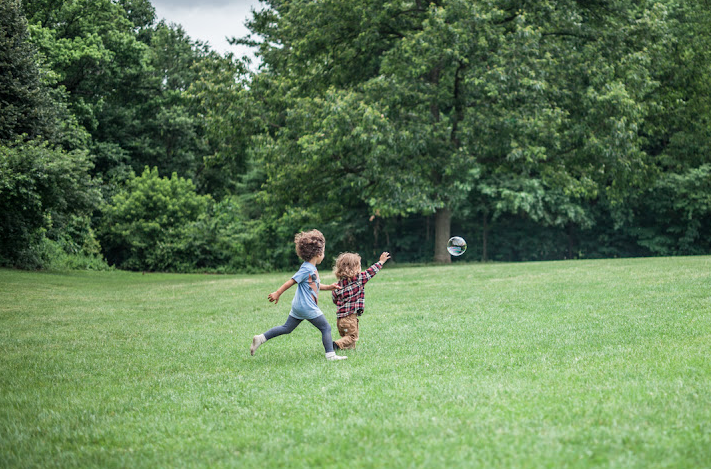 When they became parents in Brooklyn, they wanted to share their love of the outdoors and play-based learning with their young child, and with other families seeking more encounters with nature and wonder in the city. Brooklyn Forest began in 2011 as a small class in the woods of Prospect Park for a handful of families from nearby neighborhoods. Now, eight years later, hundreds of children and caregivers from all over the five boroughs come every week to play and learn with us in the park. Our classes are still small, but our community is growing. Come join us! Joy Holder is the daughter of a play-based childcare provider and a corporate lawyer. After 14 years of Waldorf education, she studied Theology and Fine Arts at Georgetown University and Women’s Studies in George Washington University’s graduate program. She spent a year post grad launching a storytelling campaign with hundreds of women and girls across South Africa and directing a film for the Nobel-nominated Treatment Action Campaign. Joylynn has won numerous awards over the years for her work as a community organizer and filmmaker, including GW’s Service to the Community of Women, Georgetown’s Outstanding Community Service, the U.S. President’s Student Service and Senator Kemp Hannon’s Citizen Advancement awards. She has lectured at universities around the country, including as a guest lecturer at New York University in 2018. Charlie Foster is an environmental journalist and teacher. His 13 years of Waldorf school led him to study ecology and music at Gettysburg College; and then to study journalism at UC Berkeley, where he coordinated the graduate program in science and environmental reporting with the author Michael Pollan and learned about the benefits of local natural resources. 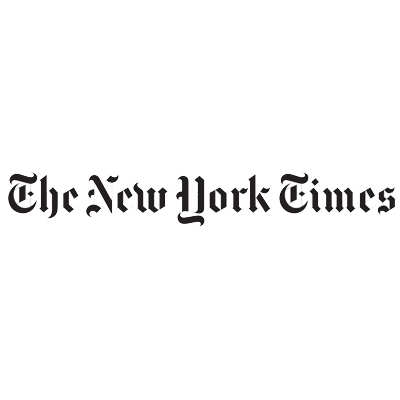 He has reported for the New York Times Magazine, Forbes and NPR and is a founder of the Youth Radio Media Lab. As a radio producer, Charlie has won the Peabody, Edward R. Murrow, Investigative Reporters and Editors, and Robert F. Kennedy awards. Grace Bodkin graduated from St. Lawrence University with a B.A. in Creative Writing and Studio Art. During college she interned at ecomaine. In her free time she enjoys hiking, cooking and making kombucha. She is a strong believer in the connection between nature and creativity. Heera Han is an early childhood and art educator who was among Brooklyn Forest School's first teachers. Heera received her B.A. from the Pratt Institute in Art and Design Education and worked as a kindergarten and art teacher before joining forest school. She left New York in 2015 to direct the kindergarten at an international school in Seoul, where she incorporated elements of forest school into the curriculum. Now back in the city, she spends her free time making dresses for friends and their babies, playing the cello and knitting hats. We're happy to have her back in the forest. Sophia Sallas-Brookwell is an artist and educator living in Brooklyn. She received a BA in Anthropology from the University of Chicago, focusing on ethnographic research of regional foodways and community food access. When not in the forest or the kitchen, Sophia is passionate about reproductive justice, documentary film and textile arts. "In Brooklyn, children arrive looking as though they are professional fishermen and dig into mud, make mud pies, look for worms and handle worms. [They] are guided rather than explicitly directed from one step to another — from mud pie making to hand washing, for instance — through song." "The most enterprising developers [of fairy houses] are the young children enrolled in Brooklyn Forest, which holds weekly nature-play classes in Prospect Park and Central Park." "In their Brooklyn Forest program, children make mud, hunt worms and build miniature railways out of twigs. Most important, they eat bread, small multigrain rolls that Ms. Holder bakes in a crown pan every morning and that have a cult following." I can't say enough amazing things about our experience at Brooklyn Forest School. In the few weeks that my nearly 3-year old twins have attended, I've seen a blossoming and sincere appreciation for the outdoors. They point out birds, mimic animal calls and even try to build forts from branches. This is truly a magical class with a very gentle spirit. It fills me with nostalgia of a sweeter, more simple childhood. I highly recommend this class. Forest school will always be in our hearts and woven into the way we live each day. We sing the washing hands song every time my son (or anyone else...) washes, we chant "off to the forest" as we enter woods anywhere, we "dig and dig" and "stir and stir" in the kitchen. We have been thoroughly enjoying Forest School since my daughter could walk. Living downtown we treasure the opportunity to get real dirt under my little one's nails. The teachers are just wonderful - they create a calming, respectful atmosphere through their patience, sweet songs and child-led approach. Making a pilgrimage each week up to Central Park has been so delightful, I now feel we know the Ramble well yet each visit is completely different since we are always discovering new pathways and little four legged friends! Each class offers the right balance between structured and free time - and 90 minutes allows the little ones enough time to really explore nature and make some new friends....oh and the bread! The founders bake bread each morning before class. This is such a delightful touch, and each child relishes every last bite. What I loved most about Forest School, and what resonated the most with both me and my daughter was the open-play philosophy. I literally just followed her, allowing her to engage with the park and the class as she chose. Some days she concentrated on sticks, others hills. Some days she sat with other children and some days she played alone. 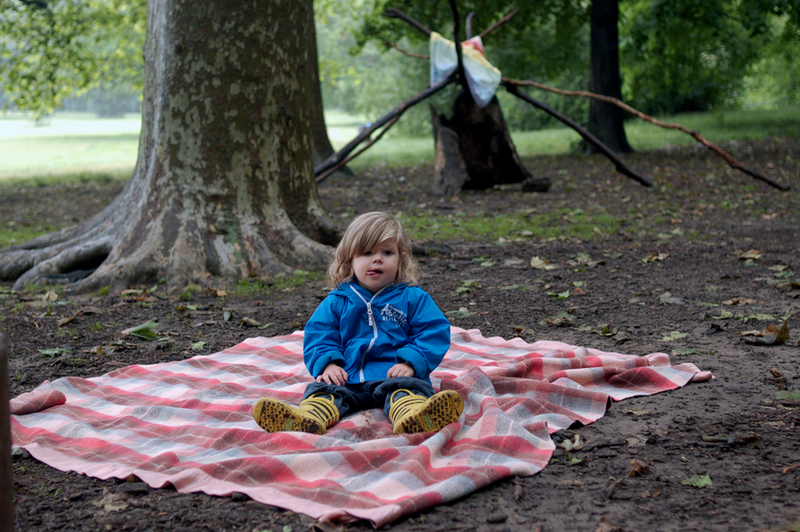 I loved that the philosophy of the Forest School is one of respecting the child and their own interests and pursuits. I never felt I had to “make” her to do anything. We attended a class in the gently falling snow this morning. Thank you for the magical reminder that the simple pleasures of sticks and songs are all a child needs to truly smile. Mud soup in tree bowls is my new favorite recipe. Hope we can join you again soon. Forest School is such a wonderful experience for my son and me. Every other time I've signed him up for a class it ended up being more of a burden for both of us because he never wanted to go and rarely had fun. With Forest School it's the complete opposite. He loves getting on the bus and going to "see Charlie and James" ( aka Jane ). We're so excited to come back in the Spring when all the action really starts happening in the park again. This program is exquisite. My kids are the most peaceful, happy, riveted learning, absorbing the world and exploring nature - during Forest School. The energy, pace, content, level of connection, and underlying philosophy all combine to make an outrageously impactful and positive experience. I love seeing my kids so alive and fascinated by life, and connecting so beautifully with nature, other kids and themselves. 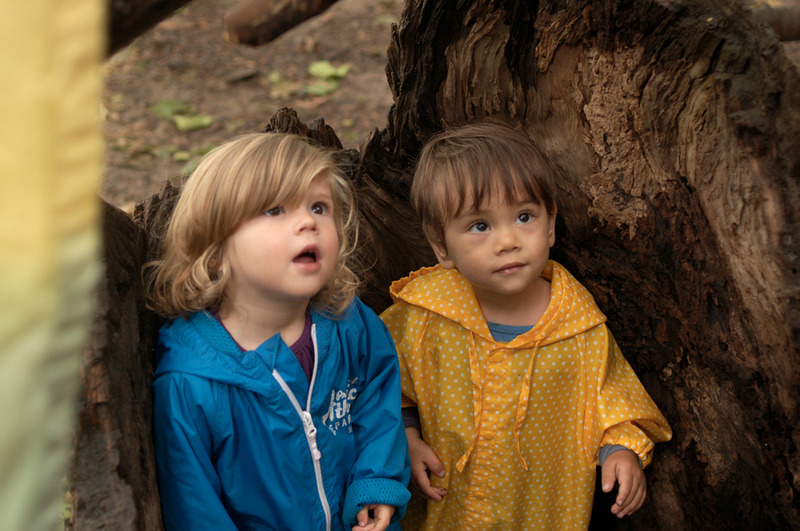 My family (at the time 2.5 year old Rowan and 6 month old Saoirse) attended Brooklyn Forest School this past spring (2012). It was so incredible and transformative for our family to have a time each week dedicated to exploring the outdoors with a community of children and families. My partner and I so value the opportunity for our children to learn and grow organically in the natural world. This is truly a child centered environment- Joy and Charlie do an incredible job of holding space and gently directing the flow of the day while allowing each child the room to explore. It was my very spirited son's first positive experience with an organized class- he came to thrive in a space where he could anticipate the routine and participate, but was never held rigidly to a structure, and that honored his need to be always moving and exploring. We love the mixed age classes, and having my daughter be able to participate makes Forest School feel even more like a community that welcomes families as well as children. My son looked forward to Forest School each week and can't wait for the fall session to begin- and neither can I! I can't say enough good things about Forest School. I feel the classes are as much for the parents as they are the children. Joy and Charlie's patience and attitude really made it such an eye opening experience as a parent. Encouraging us to simply allow our kids to be themselves in this incredibly beautiful environment without interruption from the parents. While we all participate, the ability for the kids to discover things on their own is key and quite a thing to behold. I watched Leo transform from what I thought was a potentially aggressive toddler to a kid who loves to help, hold hands and learn, share and discover new things. We made some really great friends and can't wait to join them again, along with new families, in the fall! My son (now two) was enrolled in Forest School this past spring. It was truly a learning and play experience for both of us. It was a chance for him to relate not just with the natural world, but with the other kids in class too. The format provided just enough structure with plenty of wide open space for his imagination to roam. We can't wait to join everyone in the forest again this fall.